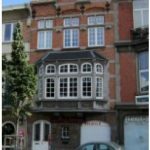 Within the framework of the B³-RetroTool project an analysis of the Brussels housing stock built before 1945 was carried out. Seven different housing typologies for two historic periods – 1700 to 1918 (pre-war) and 1920 to 1945 (between-wars) – have been identified, covering both single-family dwellings and multi-family dwellings. The dwellings built before 1945 today still represent 60% of the housing stock of the Brussels Capital Region. 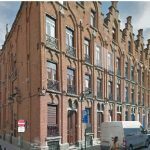 Mainly constituted of houses, the pre-1945 dwellings give Brussels its identity and its architectural and historic heritage. 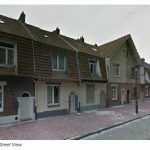 This part of the Brussels housing stock is ancient and energy wasteful. 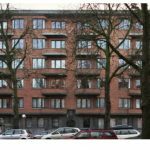 It requires urgent renovation measures both in terms of habitability and in terms of energy performance. The Brussels’ pre-1695 building stock was mainly comprised of wooden structures with thatched roofs. On 15 August 1695, a large part of the city was destroyed by a huge fire following the bombardment by French troops. The city was reconstructed very rapidly, the houses and buildings were rebuilt in brick and stone on the foundations of the old wooden houses, which disappeared completely. The building permit and various regulations standardising construction appeared from the mid-17th century to become widespread in the 18th century. 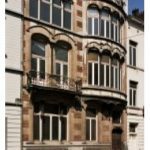 For the analysis of the Brussels housing stock, the land registry table No. 212AM (situation at 01.01.2012) was used. This table only provided information on plots dedicated to housing and allowed to study 158.965 buildings and 489.187 dwellings; 65% of them dating pre-1945. From 1700 to 1914 single-­family dwellings constituted the most common housing type in Brussels. It is rare to see multi­family houses or investment properties appear before the First World War. An overview of the different pre-war housing types is available below. Click on the photographs or links for more information. Download the introductory sheet on pre-war housing (1700 – 1918) with more information on historical background and types of housing, as well as a short description of the different housing typologies. 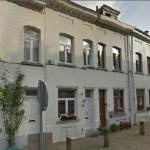 Between 1914 and 1920, almost no housing is built in the Brussels Capital Region due to the First World War. This stop lasts up to the 1920’s. 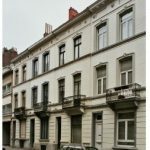 From 1920, there appear many changes both in the urban planning of Brussels and in dwelling types and styles, even if the single-­family house remains predominant. The city of Brussels expands greatly and the suburbs become much denser. The arrival of the motorcar and its generalisation significantly modify relationships with public spaces and also lead to modifications in individual dwellings. Garden cities are built for workers at the edges of the city. From 1930, apartment buildings both for the working classes and for the middle classes multiply in Brussels. An overview of the different between-war housing typologies is available below. Click on the photographs or links for more information. Download the introductory sheet on between-wars housing (1920-1945) with more information on historical background and types of housing, as well as a short description of the different housing typologies.